Lisa Hensell is the owner and Director of Education at SRMC, as well as a principal instructor for the school. In 2018 she received the national Education Award by Reflexology Association of America “In honor of her Talent and Vision for promoting Excellence in reflexology education”. She has been practicing reflexology since 1996 and massage therapy since 1998. She was certified by the American Reflexology Certification Board in 1998. Drawing on years of experience with a busy practice, participation in professional organizations, attendance of reflexology conferences in America and around the world, and her involvement in and instruction of many of the classes at SRMC, Lisa enjoys sharing what she knows of reflexology with her clients and students. She is passionate about the power of reflexology to assist physical healing and enhance psychological and spiritual well-being. profound. Both the giver and the receiver can feel transported. Our profession is a beautiful and precious commodity. Sue Gaughenbaugh is a Washington State Certified Reflexologist. Her specialty of reflexology was inspired by her interest in the health and wellness fields. 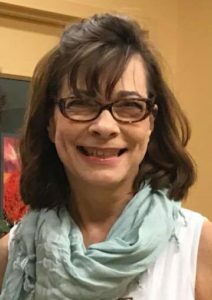 After completing her initial education at Seattle Reflexology & Massage Center, she has continued to take advanced courses with world-renowned reflexologists. She offers various methods of therapeutic reflexology for relaxation and healing including Reflexology Lymph Drainage, Vertical Reflexology Technique, Manzanares Reflexologic Method™ and Cranio-Sacral Reflexology. She is passionate about presenting reflexology to the community through public speaking events, networking events, seminars, and radio broadcasts. Sue’s background includes a degree and career in Sales and Marketing on the east coast and later, attendance at The Natural Gourmet Cookery School in New York City. When Sue moved to Seattle, she became a personal chef to several of the Seattle Seahawks. “My passion for helping people has led me down a path of studying the body and the most effective ways to restore functional movement, reduce pain, and achieve overall health and well-being. I use a personalized approach with a variety of therapeutic outcome-based techniques to help clients reach their wellness goals. I specialize in facial reflexology integrated with reflexology of the feet, hands, and ears. I also incorporate passive assisted stretching, movement and acupressure through the use of Thai Yoga Massage. Alida has been our office manager (and the honey that holds the place together) since 2007.